Gryffe Radio Cars is an independent family run local business and has been servicing your community for over 20 years. We provide a first class reliable service to the Gryffe Basin area which includes Linwood, Houston, Bridge of Weir, Johnstone, Elderslie and the Phoenix. We are proud of our reputation as a caring, trustworthy taxi company. Our dedicated team of drivers and controllers have a vast knowledge for the Renfrewshire area which means that we can transport you to your desired destination with comfort and ease. We are the cheapest private hire company in Renfrewshire and offer our customers a range of services including local journeys, leisure transport and airport transfers. We are available 24 hours a day, 7 days a week all year round! 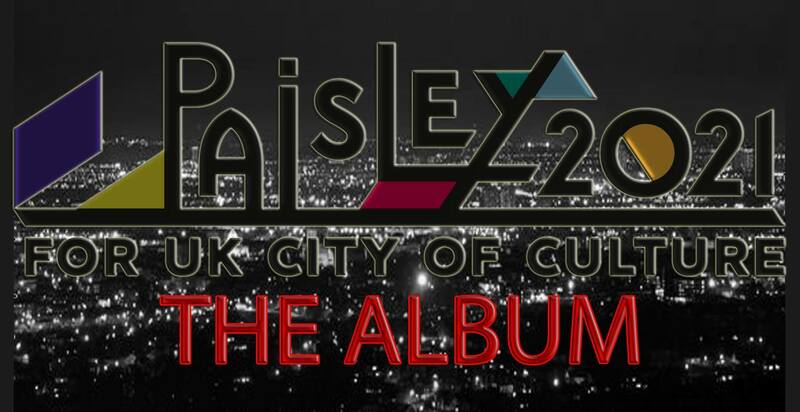 One lucky reader can win a pair of tickets for the Paisley 2021 album launch in the Spiegeltent on Monday October 23. Part of the annual Spree festival, the event from Brick Lane Records features 12 great local acts including Linzi Clark and Christy Scott performing their specially written tracks celebrating the town’s bid to be UK City of Culture 2021. Where does the Paisley Album Launch show take place? The Spree Festival runs until October 24 and features a fantastic bill of music, comedy, film, theatre and much, much more packed into various venues across the town. It comes as Paisley bids to be UK City of Culture 2021, with a decision expected from the Department of Digital, Culture, Media and Sport this December. For more information and tickets for the Spree go to www.thespree.co.uk or call the box office on 0300 300 1210. The Bungalow is an independent and ethical live music venue nestled within the heart of Paisley Town Centre (Central Scotland). We are well known for our relaxed atmosphere and laid back attitudes, not to mention having the friendliest team of staff (we feel) on the planet! The Bungalow legacy began in the late seventies on Renfrew Road (the original premises) with artists such as; The Fall, The Skids, The Tourists, Orange juice, Roddy Frame, Alan McGee, The Buzzcocks, Echo and the Bunnymen, The Alarm, The Jam, The Teardrop Explodes, The Clash and many many more rolled through the doors to perform to a packed Paisley crowd every night! To the disappointment of many The Bungalow closed its doors in the early eighties. In 2008, The Bungalow revival was born opening up in its current residency of Shuttle Street with a mission to bring the upcoming and the legends into Paisley as the music home of Danny Kyle, Jerry Rafferty, Paolo Nutini, Jukebox and many more with the likes of The Rezillos, The Quireboys and The Blockheads already making their way back through our doors and inspiring up and coming bands to fulfil their music talents and dreams (We have a big dream here and everyone is part of that). We do not support any form of Pay to Play or unethical practices within our venue, we aim for; artists, customers and staff alike to be treated with an equal degree of respect and such a practise is unwelcome here. We always aim for gig tickets to be as cheap as possible however, you will probably find most of our events are free! Please come down and support live music within our independent and ethical venue. 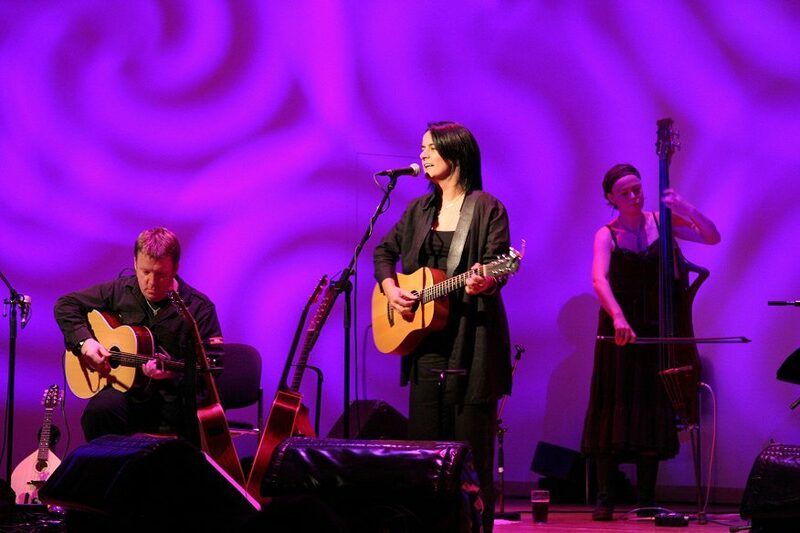 Paisley’s own Carol Laula makes a welcome return to her hometown when she performs part of her latest tour on Saturday 13 February at Paisley Arts Centre. 2016 herald’s the release of Laula’s latest album – ‘The Bones of It’. Recorded at The Barne Studios, Laula worked closely with her long time friend and colleague Marco Rea; who also plays on the record, along with many others, including Ken McCluskey (The McCluskey Brothers & The Bluebells) and Davie Scott (The Pearlfishers). Carol Laula first captivated the attention of the media and her audience in 1990, when her single ‘Standing Proud’ was chosen to represent Glasgow in its year of culture. Since then she has worked with a whole host of top musicians such as the late Stuart Adamson of Big Country and Jane Weidlin of the Go-Gos and produced eight albums, all showcasing her vibrant voice and soulful folk-pop songwriting, interwoven with strands of country and blues. 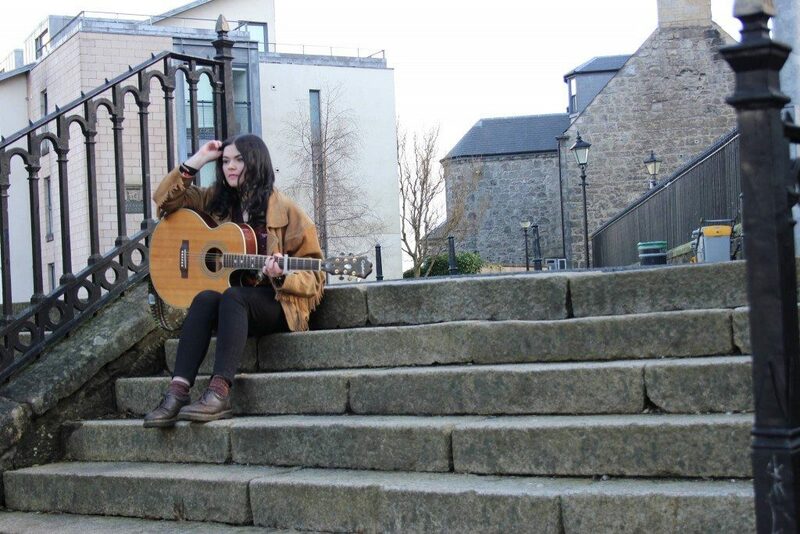 Paisley will take centre stage this September when six of Scotland’s best-known singer-songwriters perform a never-to-be-seen-again collaboration as part of the town’s Bring it all Home festival. The event will see a star-studded line-up of national treasure Dougie MacLean, chart-topping Justin Currie of Del Amitri fame plus Eddi Reader, Findlay Napier, Emma Pollock and Paisley’s own Michael Cassidy. With an electric evening exploring Scotland’s vast treasure trove of songs, each artist will play a selection of the nation’s best-loved hits as well as their own favourites from other Scottish songwriters. The Bring it all Home festival (17 to 19 September) this year features a special music conference for music professionals (Thursday 17 September) and an evening with Deacon Blue singerRicky Ross (Saturday 19 September). The day long music conference in Paisley Town Hall will includeBiffy Clyro and Prides managers, Belladrum’s Tartan Heart Festival, Celtic Connections, Hebridean Celtic Festival,Edinburgh Fringe and Wickerman festival organisers, plus renowned composer John Logan and master behind the modern reworking of Grit – Greg Lawson. Grant bodies Creative Scotland and PRS for Music Foundation, plus digital publishing experts Absilone and Emu Bands will give their top tips on promoting music and maximising incomes for musicians. Bring it all Home is returning after a spectacular Gerry Rafferty concert last year saw the Baker Street singer’s friends and family perform his greatest hits in Paisley Town Hall on what would have been his 67th birthday. The event is run by Renfrewshire Council as part of the push towards Paisley’s bid for UK City of Culture 2021. Council leader Mark Macmillan said: “Bring it all Home is inspired by Paisley’s songwriting past but also our present and future, with homegrown talent Michael Cassidy a welcome addition to the festival’s flagship concert. “With some of the nation’s greatest songwriters showcasing their talent here, Paisley is once again showing the world what we have to offer. Tickets are available from Renfrewshire Arts and Museums box office on 0300 300 1210 or from www.bringitallhome.co.uk, tickets-scotland.com and www.ticketweb.co.uk. [vc_row][vc_column width=”1/1″][vc_column_text]What is Stairway sessions? A youtube channel which features singer songwriters from Paisley, performing original material on various stairways in Paisley. Very recently, the channel only launched in April and has already received great feedback! 3 sessions have been uploaded and a further 2 sessions will be uploaded later on this week. We have also confirmed a further 2 singer songwriters for filming later on this month. Anywhere! From inside Paisley tenements to the Paisley Abbey. If there is a nice looking stairway we’ll make it work! Paisley Songwriters’ Guild Bring it all home. The Bungalow Bar hosted a free showcase of live music from the members of the Paisley Songwriters’ Guild as part of the Gerry Rafferty Bring it all home showcase events. The guild aims to provide a platform for local songwriters by educating, inspiring, and assisting music creators and copyright owners and consists of a body of creative minds, including songwriters from all genres of music, professional and amateur. The following blog is a brand new feature to the Paisley website and is written by Alan McKim who is a talented musician and song writer from Paisley. I have followed Alan’s progress over the years and I have to say his talent and hard work is abundant. I just had to invite Alan to share his journey and explain just what goes in Paisley’s Music scene, please click the links below to find out more information and show your support for local talent. First of all, I would like to express my gratitude to Brian McGuire for the opportunity and invitation to post my first ever blog on Paisley’s official website (www.paisley.org.uk). It gives me great pleasure to be one of the many people involved in Paisley’s current music scene, which it seems for generations, has been a hot-bed of thriving talent and diverse creativity. I’m lucky to be involved with both The Bungalow and the Paisley Songwriters’ Guild, two great platforms for such musicianship. 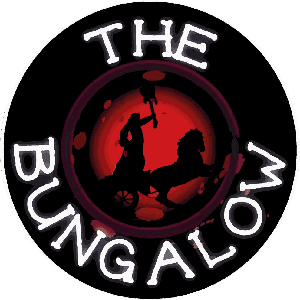 Having been open for just over a year and a half, The Bungalow has already played host to countless quality performances from hundreds of artists and bands. Our initial goal was to create a welcoming space, atmosphere and environment for both musicians and gig-goers alike, and this continues to be our main objective to this day. We have many great things in store, and all upcoming events can be found on the ‘Gig Listings’ section of our website at www.thebungalowonline.com. The Bungalow consists of a great team of wonderful and hard-working people who all aim to make your visit to our venue as pleasant and enjoyable as possible. The Bungalow was built with pride, love and integrity, and I believe the spirit of such work continues to resonate throughout the entire building to this day. It is without doubt, one of the most humbling projects I have ever been involved with. That’s not to say I take any credit whatsoever in the creation of the venue, as my job mainly consisted of making cups of tea and coffee, and mixing the odd dodgy batch of cement! The Bungalow to me represents more than just a music venue; it represents the coming together of like-minded souls who share an equal passion for the spirit and sense of community both musical and otherwise. To say that The Bungalow is run by friends is an understatement; it is more like a family. This not only includes those who work there and those who helped to build the venue, but the customers as well. I joined forces with Chic O’Connor, founder of The Paisley Songwriters’ Guild, when several years ago outside the Paisley Beer Festival over a cigarette he asked me if I’d like to be involved. Knowing the sheer volume of talent I had witnessed in my days hosting the Crow Bar open mic night, it was without hesitation I came on-board. We held our first night in Caffe Luna on Storie Street (what is now De Beers), and the success of this evening encouraged us to continue with the project. From there we moved to the original Hamishes Hoose, which saw many an evening of cracking original song-writing talent. After two years, and with the opening of The Bungalow music venue, it was mutually decided that it made sense to move the Guild there and make this our new home. The Paisley Songwriters’ Guild hosts nights on the first Sunday of every month at The Bungalow, running from roughly 5:30pm to 8:30pm (next one is this Sunday 2nd of February). It doesn’t stop there though; at the end of last year, the PSG released their debut album, ‘The Paisley Songwriters’ Guild, Volume 1’. This contained 16 members who had all put forward a song to be included. If you’d like to purchase this album, it is available in not only The Bungalow, but also The Argyll Bar, The Old Swan Inn, as well as Apollo Music in Causeyside Street and both The Record Market and The Music Centre in the west-end. Physical copies of the album can also be ordered and delivered worldwide directly from www.thepsg.co.uk. To download a digital version of the album, it is available on iTunes, Amazon, HMV Digital (all the usual digital download websites etc. ), and is even available to stream on Spotify if you simply fancy a listen. This is an album that both Chic, I and all of those involved are immensely proud of, and believe it showcases some of the incredible level of song-writing, the PSG has to offer. In fact, already since its release there have been many more talented musicians come forward and request to be included in Volume 2, which we aim to begin work on at some point this year. The latest addition and branch to the PSG tree, is the creation of PSG Radio, Paisley’s very own musical internet radio show, which broadcasts around the world live every Monday from 7-8pm (GMT), streaming directly from www.psgradio.com. We’ve already had some wonderful guests and featured artists on previous shows (all of which can be heard as podcasts found on the site), and we aim to continue this high standard of musicianship long into the future!